Category: Deep Web / Tags: no tag /	Comments Off on What is the Deep Web? The Deep Web, also known as the Darknet, Onionland or Tor Hidden Services, is created as a way for web surfers to explore the Internet and different websites without the fear of being tracked or spied on. This occurs through the usage of Onion links, or Onion url’s, which end in the .onion suffix These Tor Onion links are different than normal ones in that they can only be seen when running the Tor client. In other words, even if you know an Onion url, it does no good unless you are running Tor, as you will just get errors when you try to visit it. This is because of how the DNS is handled, and is also a great thing since it keeps you from connecting to Tor Onion sites transparently on accident! As you might guess, because of the nature of Tor, it is a lot harder to find the sites you are looking for. To help with this, there is the Hidden Wiki, also known as the Deep Web Wiki. This is an editable wiki (much like you are undoubtedly familiar with) that contains a lot of Deepweb links. This helps by giving a central area for finding Tor Onion sites, and is like one massive Tor linklist. If you create your own Tor Onion site, you can run it without the fear of it being shut down, due to the nature of how the system works. This allows you to host any type of content you wish without any fears, as long as you do so safely (for example, by not publicly sharing identifiable information). When you create a site, you will have a hard time getting traffic to it since nobody will know it exists. This is where the Onion list on the Hidden Wiki comes in, since it is the central place for finding the links for the Tor Deep Web. To get to the Tor Hidden Wiki, simply load up Tor (the red box higher up on the page has the instructions) and head to the Hidden Wiki url: Tor Hidden Wiki. Once there, you will be able to see the various categories in which you can find all the Hidden Wiki links. It is worth noting that while the Deep Web is created to be an anonymous area, it does not necessarily mean everything that goes on there is illegal. Many people just like to keep their privacy, and will use the Tor network, as well as the Tor links, to ensure that they are kept anonymous. You will find a lot of blogs, websites, forums, image boards and other sites while you explore the Hidden Wiki, so when you get there take it slow and do not get overwhelmed. Everything is organized pretty well, so being able to work out what you are interested in or not is pretty simple! At the same time that there are sites that are for regular activities, there are also some that are for more illicit ones. 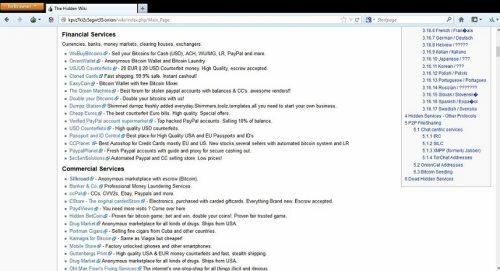 For example, there is Silkweb, which is a marketplace for dealing with drugs like weed/cannabis/hashish, LSD, heroin, cocaine and more. 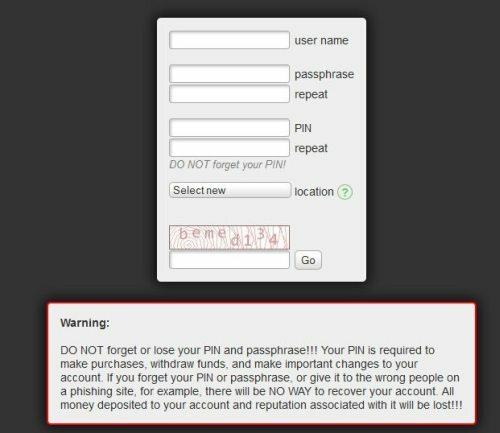 The transactions that occur on the site are seen as being secure, and since there is no way to shut it down or otherwise gain the information of the various visitors there is really no risk to visiting it, even if you do not end up using the site. If you end up using Tor, just be sure that you follow the directions in our guide at the top of the site to ensure that you are staying safe and secure while you browse! Not doing this is just like throwing out your identity, and that depletes the entire purpose of the Tor network and what it is designed for. Some sites, such as Silkroad, require registration before they can be used. You are safe to create these accounts but do not use any usernames that can trace back to you! Also, it is worth mentioning that you can use the Tor browser to anonymously browse any site. It is not limited to just the Onion links, but rather anything at all. For example, you can use it when you check your regular email, go to forums, create accounts on different sites, etc. if you do not want everyone to know who you really are or where you are connecting from. In fact, once you get more familiar with how the Tor network works, you may prefer to do this with everything! The down side to how Tor works is that because it skips you through so many different proxies, it can be quite slow at times. This is really hit-and-miss, though, and connecting at different times of the day is usually good enough to help fix this. In any case, the prospect of remaining anonymous and being able to visit what you want, when you want and without the risk of being spied on makes the sometimes slow connections bearable! While you are running Tor, you can always run your normal browser as well for anything you do not feel the need to remain anonymous on.